Would you like to ensure that the water in your home is both well-conditioned and filtered? Well, consider trying the AQUIOS Water Treatment System. This product offers full house water conditioning as well as a filtration system that uses commercial strength technology. It offers performance in a compact and sleek design. 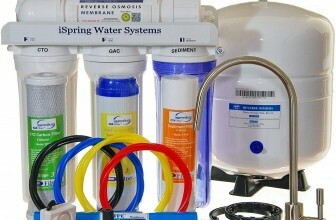 This system ensures that all chlorine, sediment as well as other undesirable materials are removed from your water. 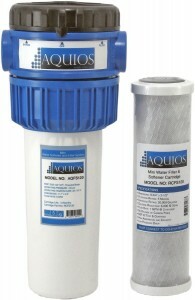 With the AQUIOS Water Treatment System, you’ll never have to worry about a build up of magnesium, calcium, and other by products that come along with hard water in your fixtures and pipes. This system is not like most salt-based systems; it does not remove the minerals that make your water “hard”. Instead, it uses a commercial, natural technology which can help to ensure that these minerals do not build up in your plumbing. This technology is known as Siliphos, and is a polyphosphate additive which inhibits scale deposits. This product is ground breaking in that it combines carbon block filtration with commercial water conditioning and delivers it all to a full house. Below are a few things individuals should be aware of before purchasing this product. The AQUIOS Water Treatment System is a salt-free, full house water softening and water filtration treatment system which offers commercial grade descaling. It helps to eliminate all of your hard water deposits and also conditions your water. It acts as an all-in-one system without reducing your pressure. There is little to no maintenance required and you don’t have to worry about programming or using too much electricity. This product also comes in a compact design. It has a 6 month cartridge life and it’s cartridge holds 40,000 gallons. It also comes with a 20 year warranty. If you are someone who is concerned about the installation costs of these systems, then you could easily use your basic plumbing skills and a few basic tools to install the AQUIOS Water Treatment System. Though, some may elect to hire a local plumber. It should take no more than an hour. We found that the four chemical balls in the filter that are supposed slowly dissolve and coat our pipes, did not dissolve over time. Also, this water softener should not be classified as a water softener at all since it does not actually soften water.Lastly, it does not filter out all of the chemical smells. Whether or not you purchase this product will rely on what your priorities are and how willing you are to try different forms of water softeners. This is not your average softener. It is revolutionary in its approach and the more you understand how it works, the easier your decision will be. Sure, there are many who would say that this unit does not match the classic definition of water softener systems because it does not use salt. However, it does do as promised by ensuring crystal-clear water that is free of chemical taste, eliminating scale buildups and essentially creating a maintenance-free operation. And it does all of this while ensure that your water is not “slippery”. If this is what you are looking for in a house conditioning system, then the “classic” definition may not be as important to you. The AQUIOS Water Treatment System’s unique design helps to ensure that there is virtually no pressure loss or reduction in your water flow rate. It requires absolutely no programming whatsoever and is not a burden on your electricity expenses. It is also worth noting that if you are interested in making sure that you are making a good investment then you should take advantage of this product’s 20 year warranty on the housing as well as the valve. This product is also perfect for those who would like to save money on the front end seeing as the AQUIOS Water Treatment System includes your first cartridge and hold countless gallons of water. And this means that you will not have to replace the cartridges as much as you would the average softener. So if you are interested in longevity, something revolutionary and a process that is more natural, then you should consider purchasing the AQUIOS Water Treatment System. Need more options? 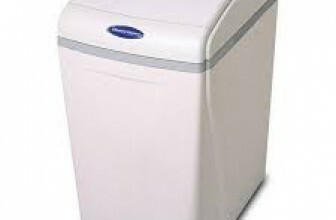 Read our review on the 602abcWATER Metered Water Softener! 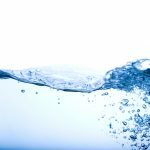 Do Water Softeners Reduce Water Pressure? Will a Water Softener Hurt the Septic System? 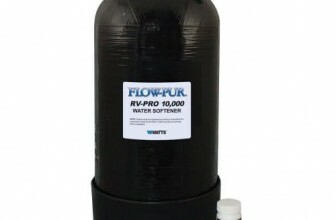 Is Water Softener Water Safe For Aquariums? Can Water Softeners Cause Skin Problems? Can a Water Softener Turn Water Yellow? UnifiedWater.com is a participant in the Amazon Services LLC Associates Program, an affiliate advertising program designed to provide a means for sites to earn advertising fees by advertising and linking to Amazon.com.